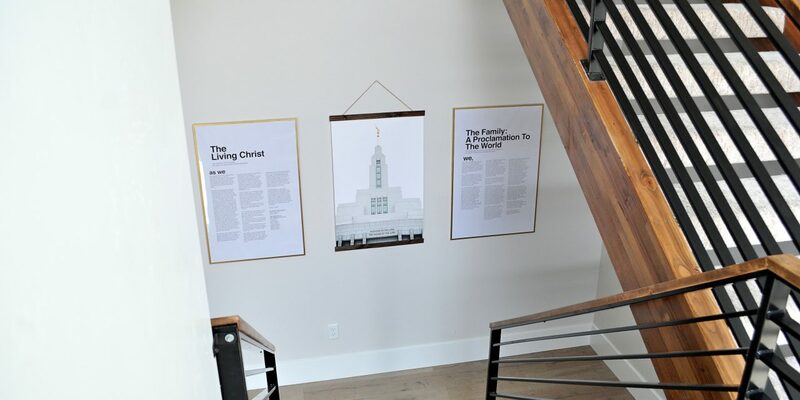 Tons of my friends already had large printouts of The Family Proclamation, and The Living Christ. 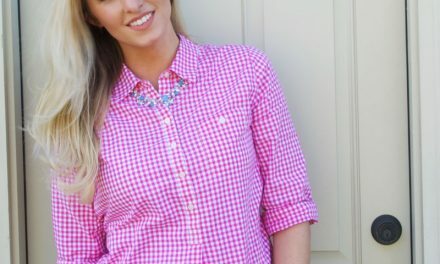 But the ones I had seen were more farmhouse style than contemporary, and would look out of place in our very modern home. 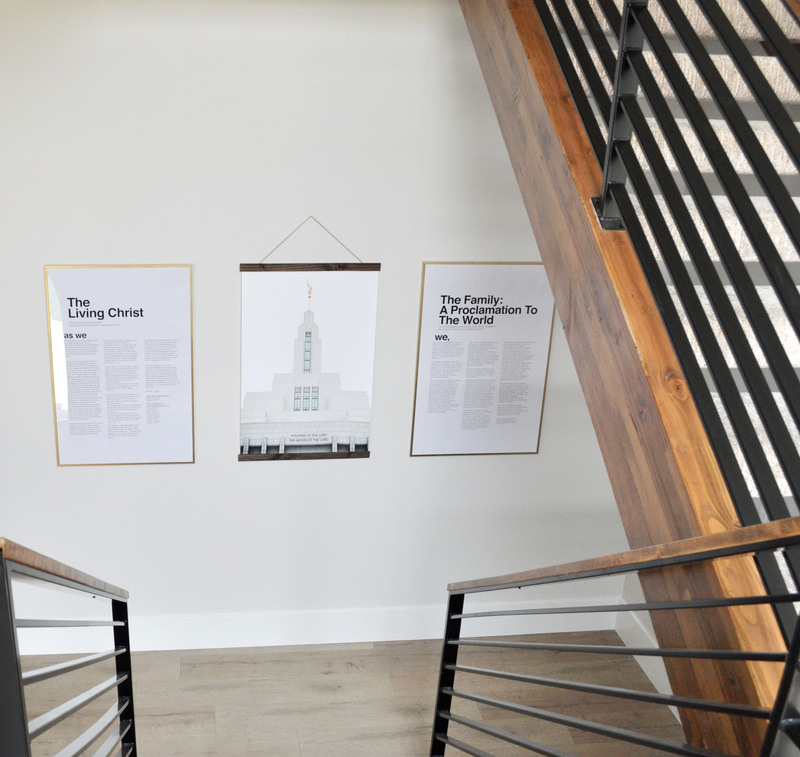 I searched the internet, and finally came across the perfect set of minimalist, contemporary digital designs–the best part–they were only $10 for the set of three (the third digital design is The Articles of Faith). And here’s a fantastic tip I’ve used tons of times–order the prints as engineering prints. This means it’s basically printed on a giant sheet of paper. When you order it this way, it’s only about $3-4 per a print. For the frames, I purchased two of the Ribba Frame from Ikea in size 24 x 35.75. They have polystyrene instead of glass, but with a bunch of kiddos running around, I thought that was actually the best option since it won’t shatter if it gets knocked down. I then used gold spray paint to make the frame gold instead of black. Interesting fact: I went to Hobby Lobby to see about getting them custom framed, and for the look I wanted, it was going to be about $88 per a frame, so around $176 for two frames alone–which is more than I paid for everything photographed above combined. 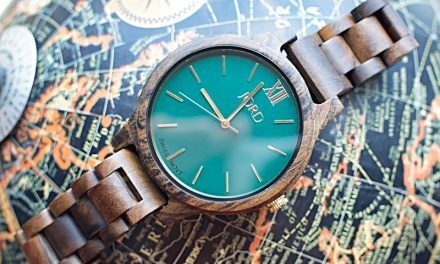 A little DIY pays off, my friends! Finally, I ordered this beautiful vinyl temple print. 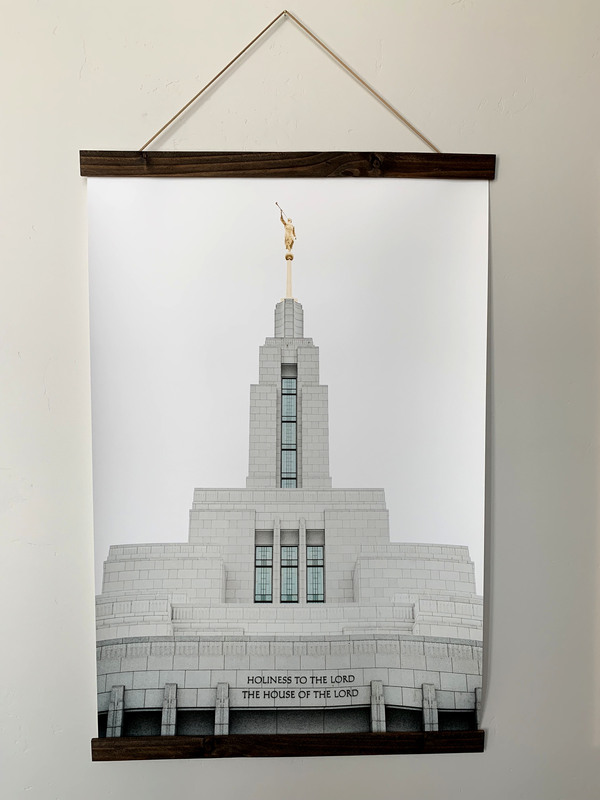 I picked the Draper Temple, because that’s where we were married, but they have tons and tons of images, temples and more. I love that it’s printed in high resolution because it looks amazing. 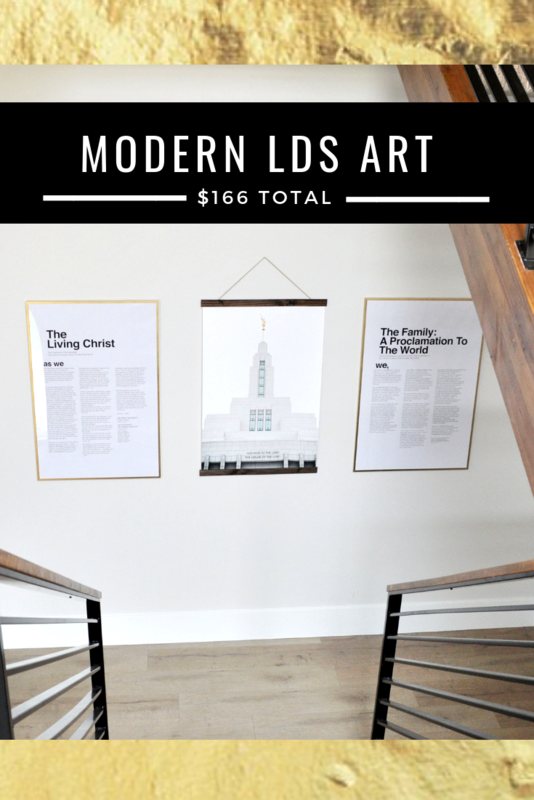 I also love that this modern lds artwork comes with the wood frame pieces and the hanging suede string. It comes packaged in a hard tube, so no damage occurs during shipping. 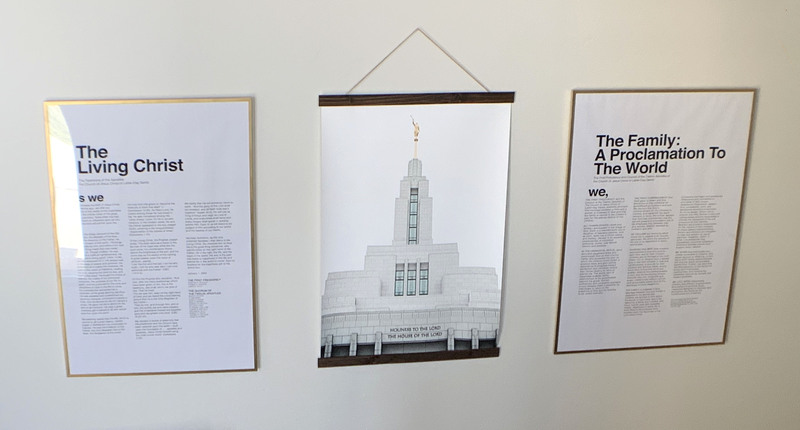 If you’re not a member of The Church of Jesus Christ of Latter-Day Saints, you could do something similar to this set up and print off the Preamble, or other documents you respect, and then order one of the dozens of designs offered by the same shop I got the temple vinyl from.